Visiting Kalaupapa Lookout, one of the top things to do on Molokai. The birthplace of hula, Molokai is rich with history and natural beauty unspoiled by the outside world. Instead of coming with a vast agenda, one of the best things to do on Molokai is to just slow down. There are no stop lights, sky-rises, late-night bars and chain restaurants. So instead of fighting the peaceful atmosphere, why not embrace it? There are limitless places to lounge and enjoy life at a laid-back pace. Or even explore some of the wild and breathtaking beauty this island has to offer. Here are our top five things to do on Molokai. 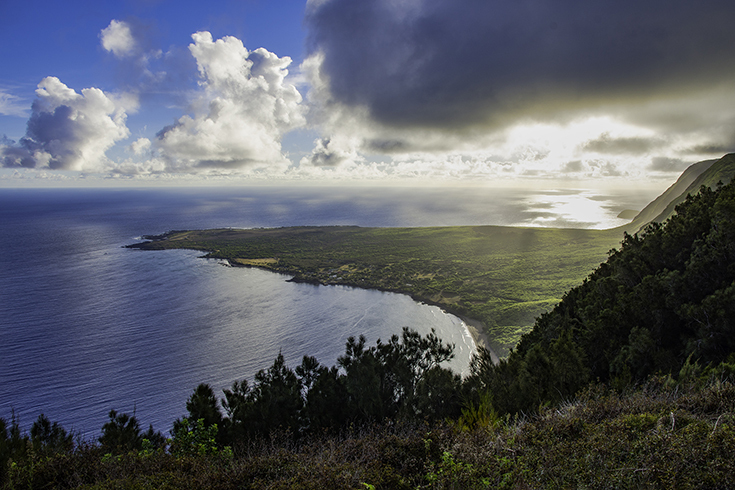 You can visit the Kalaupapa National Historic Site by air, mule or by foot. The mule ride includes the Father Damien guided tour of his church. Here, this sainted priest ministered to the quarantined patients of Hansen’s disease. While on the trail, travelers can view the historic peninsula below, descending 1,000 feet on a switch-back trail. While it will be memorable, one can only visit the area by making advanced arrangements with the tour provider or with Damien Tours. This is definitely one of the top things to do on Molokai. The drive to Halawa Valley will as enjoyable as the valley itself. This is because the 28 mile drive out of Kaunakakai is full of green mountains, coastal views and historic fishponds. 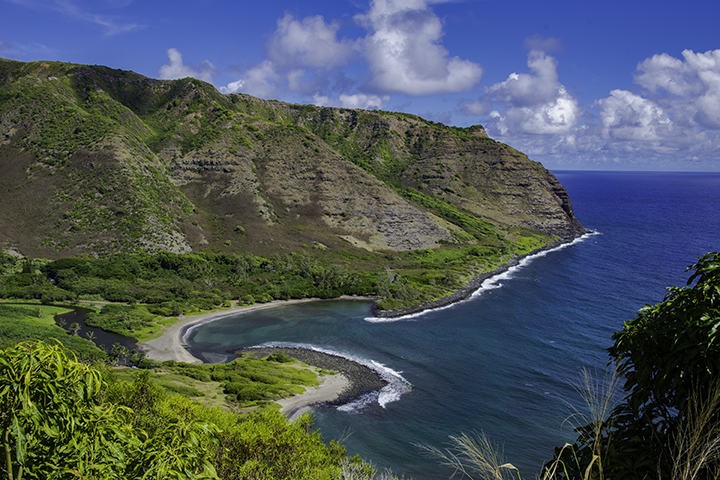 This lush valley is also great for fishing, hiking and for viewing tropical flora and an ancient heiau. In the middle of the valley flows Halawa Stream, the largest stream in Molokai. Two spectacular waterfalls, Hipuapua Falls and Moa’ula Falls, feed Halawa Stream. One can see these two falls from a distance from the valley floor and even hike to them. However, you will need a guide to hike within the valley. You can make arrangements for the guide at the Aqua Hotel Molokai in Kaunakakai. One of the greatest ways to experience Molokai is to get out on the water. Take a guided kayak tour or rent a pair of canoes. Then, you’ll get the best views of the coastlines and rare marine life. Molokai is also home to the longest barrier reef in the Hawaiian Islands. Here, visibility is often so clear kayakers can see the ocean floor, even when over 200 yards from the coast. You may even see a whale breach in the distance and sea turtles swimming below the water. One of the best parts of kayaking is the ability to reach beaches inaccessible by land. If you bring a water-tight bag, you could have a private picnic on some lonely shore before heading home. For safety, we recommend taking a guide as strong currents and winds can take you off course. We would be remiss not adding going to the beach as one the things to do on Molokai. Halawa Beach Park in Halawa Valley is a fantastic place to soak in the sun on a black-sand beach. If a relaxed day of swimming is your goal, Murphy’s Beach on the east end of Molokai is a great choice. 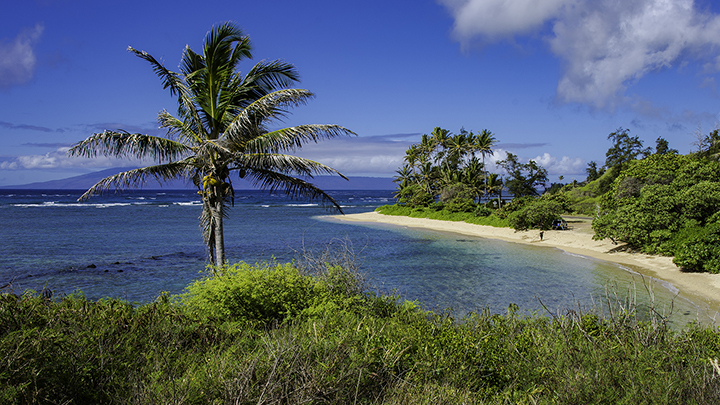 Papohaku Beach near Maunaloa is the State’s longest beach and perfect for a walk on calm weather days. Be warned, the sand here can get quite hot. So, don’t try to walk barefoot to avoid burning your feet. People visiting Molokai are generally not looking for crowds or high-energy hubs. So, embrace settling into to the gentle ambiance and dine like a local resident. 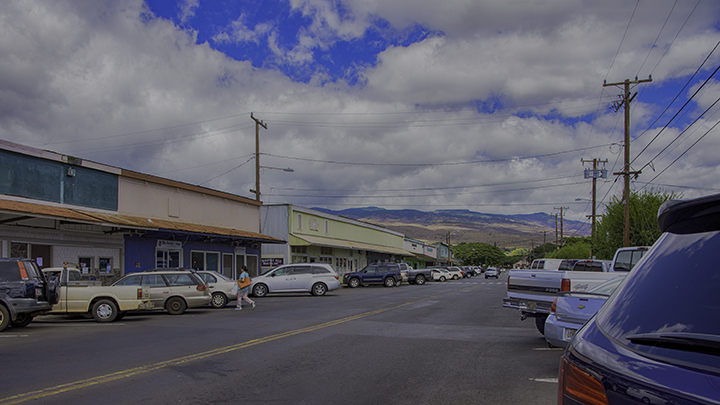 Start your day in Molokai’s largest town of Kaunakakai with the strong coffee from Stanley’s Coffee Shop and Gallery. Then enjoy lunch and dessert from Mana’e Goods and Grindz, Outpost Natural Foods or Kamoi Snack-N-Go. You can even buy fresh hot bread at famous Kanemitsu’s Bakery & Coffee Shop, also in Kaunakakai. If you are a fan of macadamia nuts, go to Purdy’s Natural Macadamia Nut Farm in Ho’olehua. While coffee enthusiasts will enjoy the friendly setting at Coffees of Hawaii in Kualapu’u. Memories of Molokai will become lifelong treasures for you and your family to share.